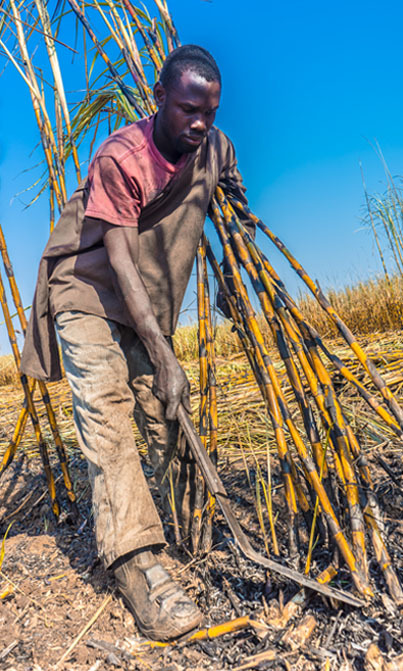 The Responsible Investment Project in Mozambique helped Illovo Sugar Africa (pty) Ltd.’s (Illovo) Maragra Sugar Estate and its suppliers adopt global best practices by implementing elements of The Analytical Framework for Land-Based Investments in African Agriculture to address land tenure risks. Specifically, the project supported a participatory mapping process and the development of a local grievance mechanism. More than 90 percent of land in Mozambique is used under unregistered good faith occupancy and customary tenure arrangements.2 While these rights are recognized under the 1997 law, in practice land tenure for millions of rural residents has remained insecure. Without formal, documented rights to their land, there is little incentive to invest. Moreover, the majority of Mozambique’s millions of rural residents lack the financial resources and technical support necessary to protect their land rights. Women are particularly vulnerable; they are often less educated, poorer and have limited decision-making power over land compared to men. In addition, many women continue to face discriminatory inheritance practices and eviction from their marital land by the families of their deceased spouses. These conditions make it difficult for communities and individual landholders to defend their land rights against third parties, make long-term investments in their land, or meaningfully engage in negotiations with the private sector. Increasing pressure on land in Mozambique from medium- and large-scale investments in agribusiness, extractives and infrastructure has led many individuals and communities to turn to the formal DUAT titling process to obtain documentation for their land.4 However, few communities or individuals have the resources needed to apply for and receive a formal title. The process is cumbersome, time-consuming and prohibitively costly for many. It involves high application fees and the costs of traveling to the appropriate land administration offices, often on multiple occasions. At the same time, the institutional capacity of local land authorities to survey land and register DUAT title applications is limited.5 As a result, the majority of land in Mozambique has remained unregistered, and customary tenure holders are invisible on official maps or land registries. 2 Balas, Marisa et al. “A Fit for Purpose Land Cadastre in Mozambique” Paper prepared for presentation at the 2017 World Bank Conference on Land and Poverty. March 2017. 3 Knox, Anna. Tanner, Christopher. 2011. Focus on Land in Africa: Securing Women’s Land Rights in Mozambique. Accessed from https://agriknowledge.org/downloads/08612n57q. 4 LANDac. 2016. 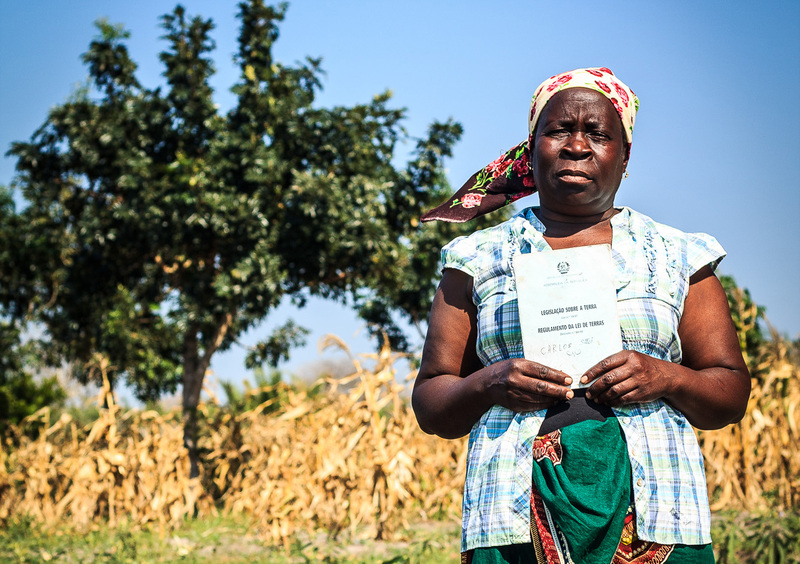 Food Security and Land Governance Factsheet: Mozambique. Accessed from http://www.landgovernance.org/assets/20160608-Factsheet-Mozambique.pdf. 5 Van Den Brin, Rogier J. E. “Land Reform in Mozambique.” World Bank Agriculture & Rural Development Notes, Issue 43, World Bank, Washington, DC, December 2008. 6 USAID. 2011. Mozambique—Property Rights and Resource Governance Profile. Accessed from https://test-aiderc.pantheonsite.io/wp-content/uploads/2016/09/USAID_Land_Tenure_Mozambique_Profile.pdf. 7 USAID. 2011. Mozambique—Property Rights and Resource Governance Profile. Accessed from https://test-aiderc.pantheonsite.io/wp-content/uploads/2016/09/USAID_Land_Tenure_Mozambique_Profile.pdf. 8 USAID. 2015. Operational Guidelines for Responsible Land-Based Investment. Accesses from https://land-links.org/tool-resource/operational-guidelines-for-responsible-land-based-investment/. Illovo Sugar Africa Ltd., a multi-national agricultural commodity producer, collaborated with USAID on the Responsible Investment Project in Mozambique to develop and test new approaches to improve local tenure security in areas surrounding their Maragra Sugar Estate and mitigate operational, financial and reputational risks. Securing land tenure among communities in Mozambique can foster resilience and increase opportunities for social and economic empowerment. The project centered on Illovo’s 6,500 hectare Maragra Sugar Estate in Mozambique. The Estate procures sugarcane from hundreds of growers working on approximately 5,000 ha of surrounding land. To guide the procurement of sugarcane, Illovo launched its Group Guidelines on Land and Land Rights in 2015. The Guidelines commit the company to respect the legitimate land rights of its local stakeholders and only contract with cane outgrowers who can demonstrate documentation of their land rights. However, in the past, conflicts over land often arose among farmers due to a lack of land documentation. The lack of documentation also limited Illovo’s ability to effectively engage with local growers, and contributed to uncertainty in their global sugarcane supply chain. Develop a new grievance mechanism for Illovo to address land-related and other concerns among local community members and growers. The project was also designed to align with and support the Government of Mozambique’s Terra Segura initiative, launched in 2015, which aims to register 5 million parcels and map the boundaries of 4,000 communities over a 5-year period. By testing a flexible, participatory process to map and record land rights, the project demonstrated an innovative method for engaging local governance systems that could help the Government achieve these ambitious goals. 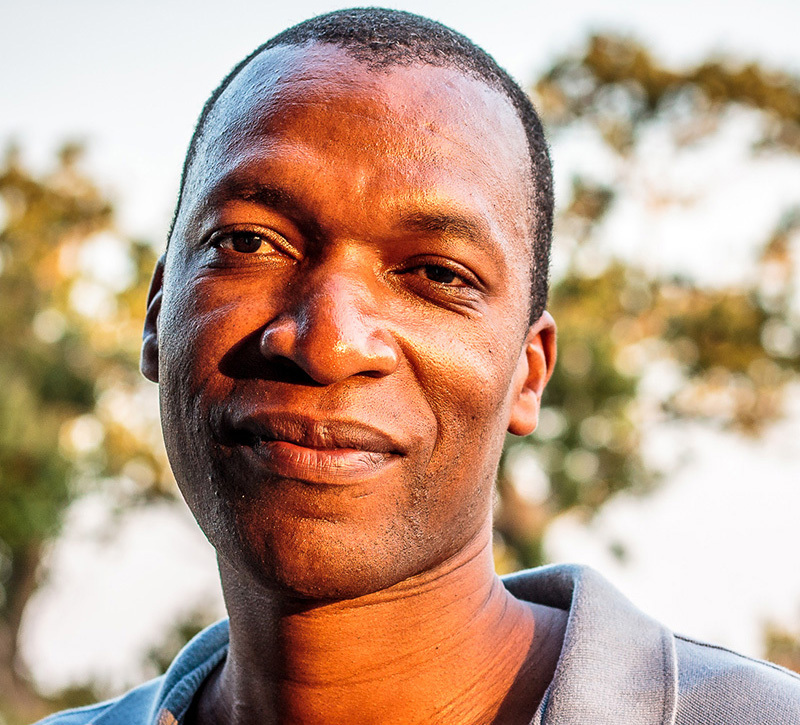 Xavier Lucas, a member of the project team, has worked with the Mozambican government on land issues since 2001 and has worked to raise awareness and teach communities about Mozambique’s Land Law. Leveraging the innovative partnership, the project will ensure that local land rights are secure enough for Illovo to responsibly do business with the community, for individuals to invest in their own land and for the government to record and recognize boundaries. 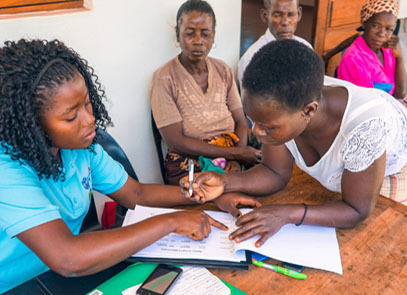 The participatory process is in line with Mozambique’s progressive land law and makes it possible for local government to more easily register formal DUATs. It also helps Illovo to verify ownership of land, without requiring the more costly formal titling process. Moreover, individuals who wish to continue the formal land registration process are closer to their goal of receiving a title. 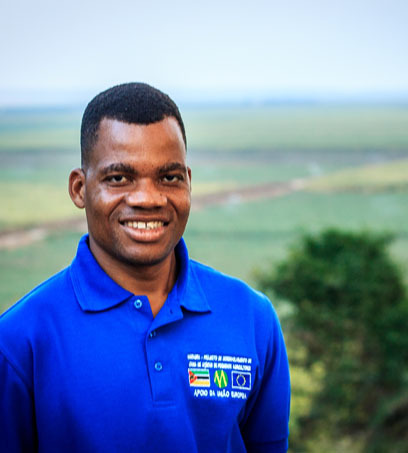 Emanuel Malai is working as a liaison for the project, to ensure that the local implementers follow its processes and guidelines and resolve conflicts as they arise. He also supports training and communication between Illovo and the enumerators who map, record and certify land rights and work with landholders directly. Project enumerators. As a result of the project, 10 local enumerators were trained to educate and sensitize community members on the project’s activities. The enumerators work with the community to demarcate and register plots of land with equipment such as tablets and GPS devices. 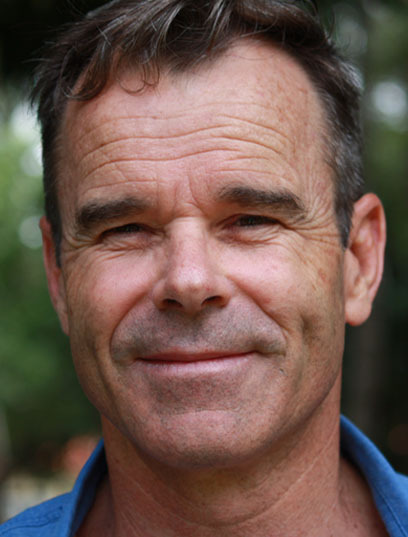 Andrew Cochrane works with growers for Illovo and has noted that a wide range of stakeholders in Mozambique benefit from the project. The project provided certificates to individual landholders, whether they supply sugarcane or grow other crops, and supported local government stakeholders who are committed to the Government of Mozambique’s goal of certifying 5 million DUATs. Project outcomes show that helping landholders near investment areas map and register their land can be beneficial to investors, local communities, and host country governments. Increase the understanding of, and ability to mitigate, land tenure risk among Illovo’s operational staff. Lurdes Armando Matlula is a female farmer living on and cultivating land surrounding the Maragra Sugar Estate. As a result of the Responsible Investment Project, Matlula established the boundaries of her land. Over 65 percent of project beneficiaries were women, and the project helped over 1,050 women map and document their land. Women’s land rights are strengthened with documentation which can increase their ability to be resilient and self-sufficient. It also can enhance women’s opportunities for social and economic empowerment. Increase economic opportunities, such as contracting with Illovo to sell cane, growing other agricultural products, and obtaining credit. 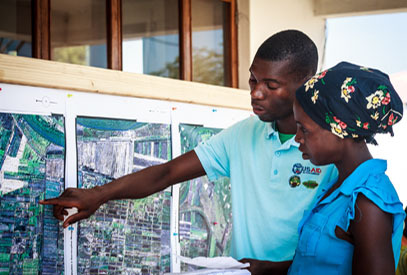 Through project activities, USAID and our partners are using innovative solutions to build communities’ self-reliance, make private sector investment more sustainable and strengthen land governance in Mozambique. This project demonstrates how USAID extends its traditional development approach by working hand-in-hand with the private sector to achieve shared goals of strengthening property rights for all, especially women. This reduces men and women’s vulnerability to a variety of risks and advances economic opportunities and local resilience. At the same time, it demonstrates the value of addressing land issues to companies’ bottom line and long-term sustainability. 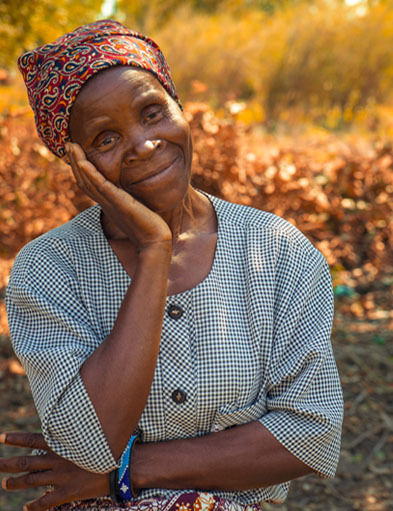 Partnerships like this help Illovo meet its human rights commitments, strengthen its supply chain and avoid the potential operational, financial or reputational costs of land disputes or other land-related issues. The outcomes of the project highlight the importance of participatory mapping and documentation activities to: increase the success and sustainability of land-based investments; increase opportunities for local communities to engage with the private sector in ways that are mutually beneficial; and help support government land administration initiatives. In addition, with a new grievance mechanism in place, Illovo, its cane suppliers and neighbors now have a way to air and address issues or complaints that helps build trust among all stakeholders. The private sector need not forgo investments in emerging markets because of risks associated with weak land tenure systems. Guidelines and implementing tools can help corporate actors navigate riskier climates. Investors and corporations can partner with communities to strengthen land rights, even in the absence of national government partnership, as a first step toward creating sustainable and mutually beneficial long-term investments. Partnerships like this can help nations like Mozambique improve their land rights and governance environment, protect citizens, and fulfill commitments. 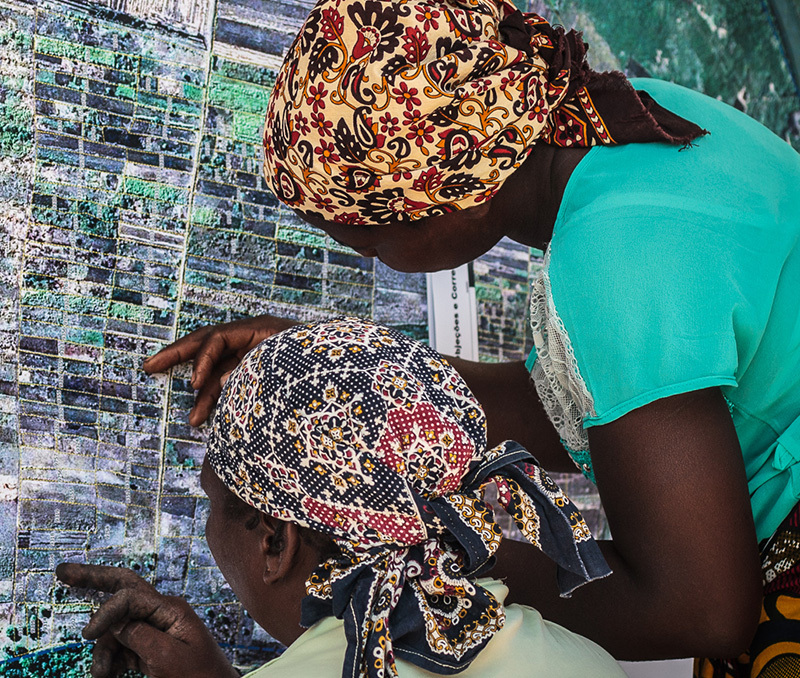 In this case, the project has helped to demonstrate a scalable and participatory method to map, record and administer land rights and strengthen tenure security, which may serve as an additional option to help the Government of Mozambique meet its ambitious goals under the Terra Segura initiative.